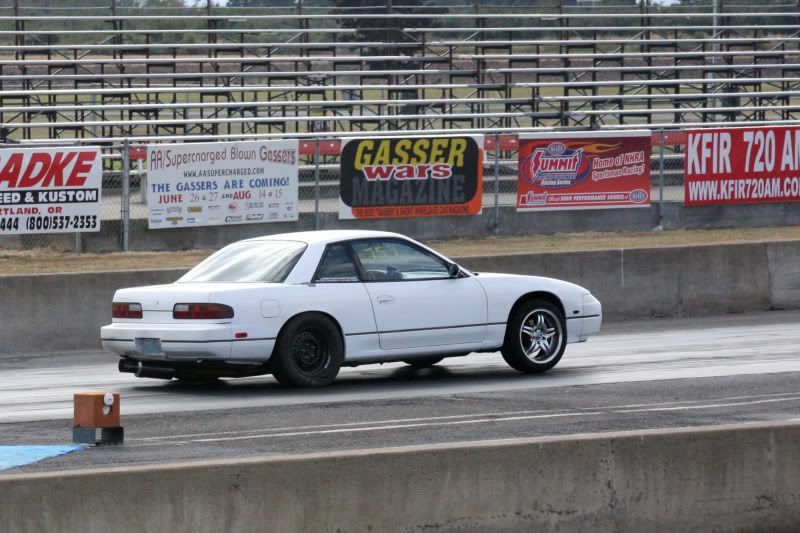 After finding out my motor was toast, I took it to the drag strip just to see how fast it was anyways. Only did 3 passes before I decided the track had enough smoke for the day... lol. It wasn't horrible until the last pass. My slicks were not balanced at all, and the vibrations were so bad that I could not get it into 3rd gear the first try, so it took a second or two to let the revs drop so I could get it into gear. Even so, I ran a 12.1 @ 117mph. 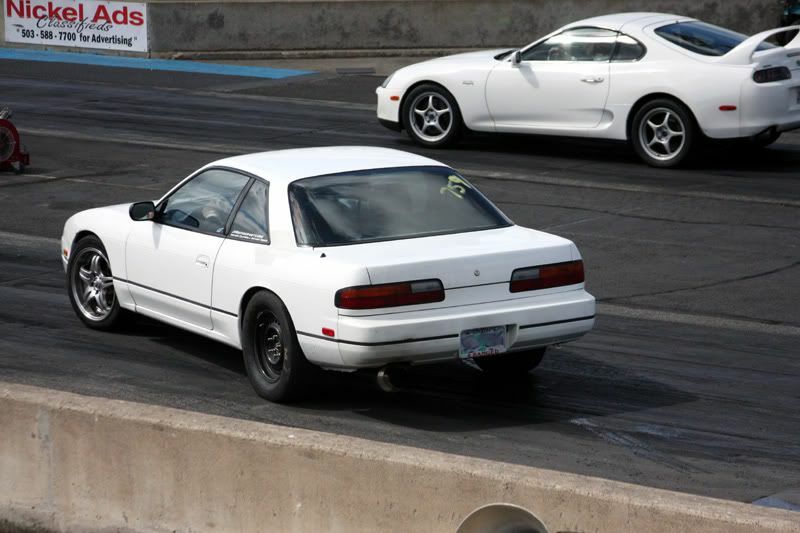 The car was intensely fast, even with 75% blow by... Can't wait until I get the car back on the track!